The film, "The Inventor: Out for Blood in Silicon Valley," premiered Thursday on opening night of the Sundance Film Festival. Oscar-winning filmmaker Alex Gibney has always been interested in the psychology of fraud and self-deception. 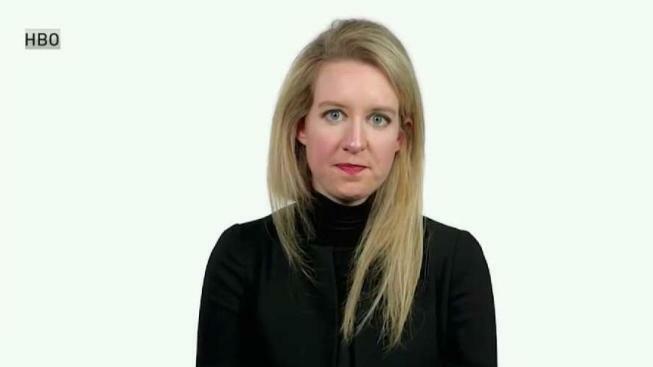 So when HBO CEO Richard Plepler and Graydon Carter proposed that he look into the blood-testing startup Theranos and its charismatic young leader Elizabeth Holmes, saying yes was a "no-brainer." Theranos had promised that it would revolutionize health care with cost transparency and blood-testing technology that would require less blood. Sporting black turtlenecks, and Stanford-dropout bragging rights, Holmes was touted as the "next Steve Jobs" and Theranos was at one point valued at over $9 billion. Just two years later, amid investigations by the Wall Street Journal into the inaccuracies of the technology, and then by the Securities and Exchange Commission, that valuation went to $0. It's an idea that has captivated many in the entertainment industry. In addition to "The Inventor," which will air on HBO later this year, a scripted version of the saga is in development based on John Carreyrou's book that would star Jennifer Lawrence as Holmes with "Vice's" Adam McKay at the helm. Gibney, who has taken on Scientology and the Lance Armstrong scandal, knew it was right up his alley. The only problem? No one would talk to them. David Boies, the famed litigator, "had terrified everyone," Gibney said. "Everyone was convinced that if they talked to us and said critical things about the company, that David Boies would sue them," Gibney said. "It's evidence to how the legal system too often works. David Boies likes to say that the law defends the poor, the infirmed, the underdog. No. Most often the law is there to buttress the powerful. And that's how he was used in this case, to silence the whistleblowers. Nobody wanted to come forward. It was very hard." But then, late in the process, they had a breakthrough. Someone inside Theranos gave Gibney and his team a "motherlode of footage from inside the company." Footage from company parties and internal interviews, for Gibney, "made the whole thing come alive" and helps paint a fuller picture of what was happening inside this now infamously secretive shop. It's a riveting portrait of a leader, and of a society that values big ideas and visionaries above all reason. "I think one of Elizabeth's greatest skills at least in terms of Theranos' initiative is her abilities as a storyteller," Gibney said. "She was able to be so convincing because she convinced herself. She convinced herself that the righteousness of her cause was so great that if they cut a few corners here and there or did a few bad tests that they'd get it right ultimately and save lives. That idea that the ends justify the means? Over time I've learned just how dangerous an idea that is."